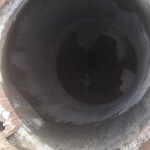 Since 1977, Midlands Contracting has been building sewer, water and storm sewer projects throughout Nebraska, Kansas and the Midwest. 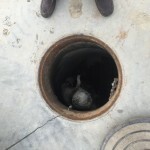 From multi-million dollar sewer interceptors to small concrete drainage structures, we have the experience, resources, and technology to get a project completed on schedule and within the specifications. 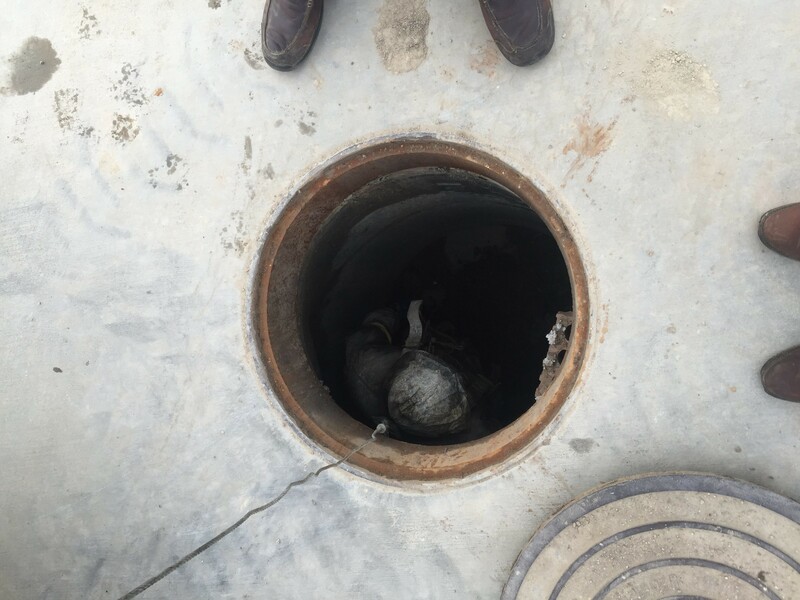 Precast manhole with 5 sections, a base section with invert flow through a riser barrel section, eccentric cone, grade ring and ring with cover. 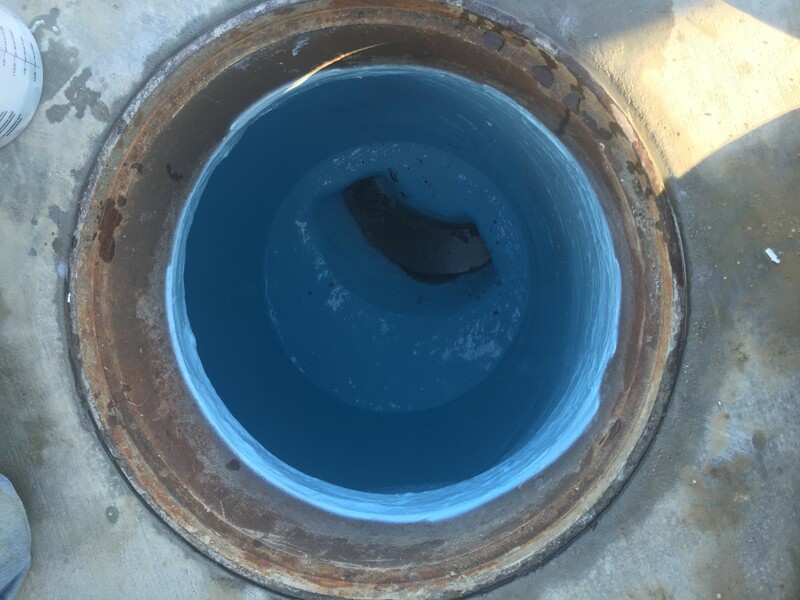 The process of coating this manhole started with a 5000 psi water blast to clean the surface, as well as create a suitable profile for the coating to bond. 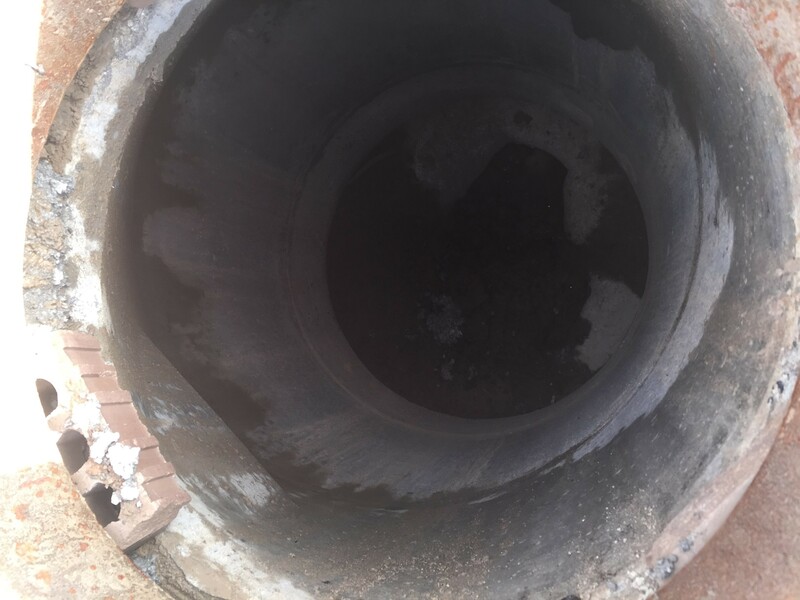 Then the gap between the cone section and ring was then filled with a cementitious repair material to assure a smooth esthetic finish. 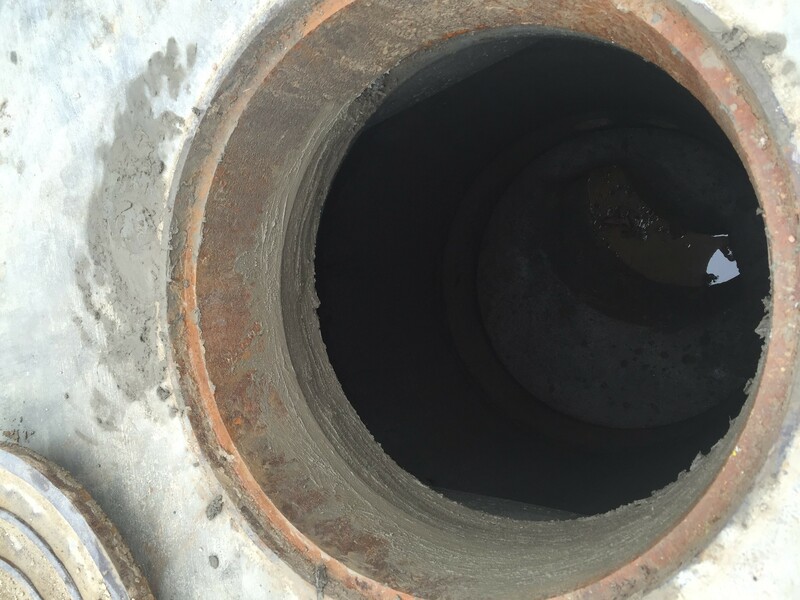 After the repair material had cured, the manhole was then blasted again to remove any laitance from the surface that may prevent bonding. 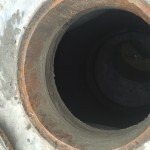 After cleansing, the manhole was ready for coating. The temperature was 55 degrees Fahrenheit, with 65% humidity. 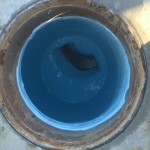 Then the manhole was coated with 100 mils of signature Raven 405. The structure was Holidays tested to ensure a monolithic coating existed and adhesion testing was performed to confirm proper adhesion of the coating to the structure.